Before the arrival of Tiny Thai, most Thai-craving Vermonters were weaned on the cuisine of Art and Claire Jilandharn. In recent years, their empire has stretched from Montpelier to Waterbury, Middlebury to Burlington. 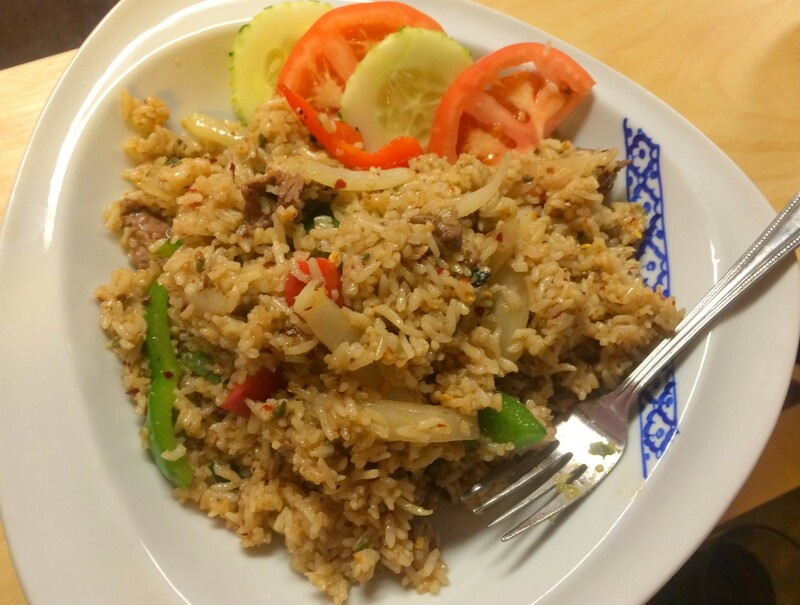 That Waterbury hub, Ocha Thai Restaurant, closed in 2013. Now it's back, on the Waterbury-Stowe Road next to Stash N' Stowe smoke shop. There's no formality to the fluorescent-lit, 18-seat spot with its lavender walls and wooden parrots hung from the ceiling. Most customers on Sunday night were picking up take-out, but we took a seat to try a sampling of the new/old restaurant's menu. 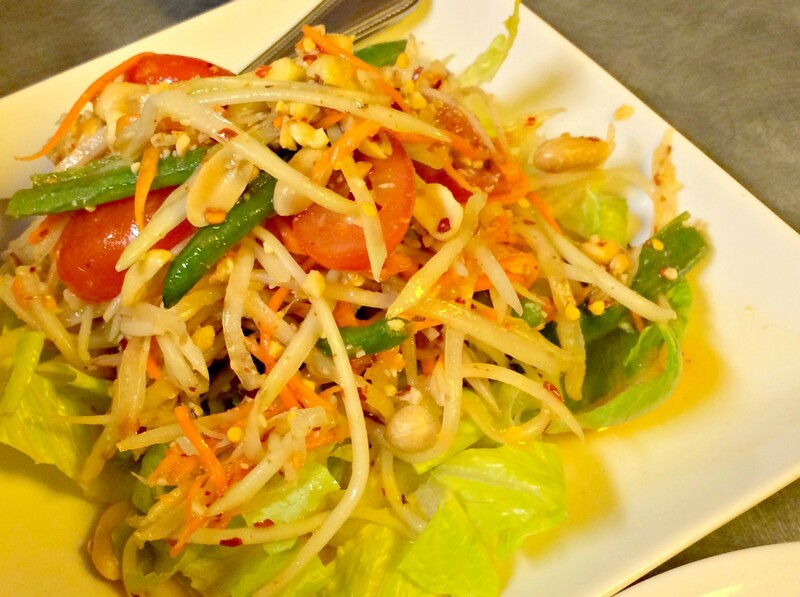 Som tam, the classic raw papaya salad, is my barometer for the skills of a Thai chef. This was an interesting case: With a nod to my slightly spice-shy dining partner, I ordered the veggies medium hot. But the crisp, chile-flecked beans and tomatoes left a pulse of spiky electricity on my lips. More lime dressing may have dulled the fire, but even the liberal shower of peanuts on top didn't subdue the crackle much. A little more acid would have been nice, but so far, so hot. 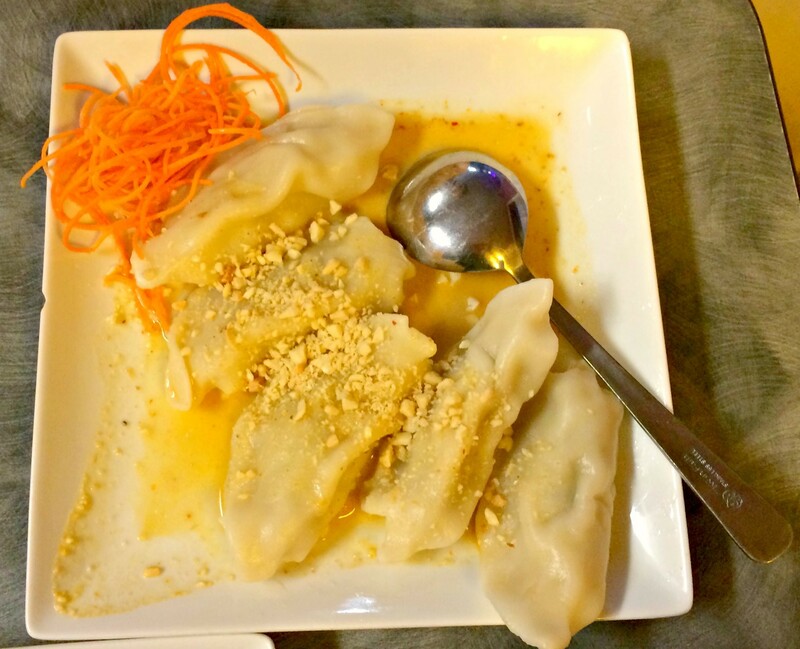 At $5, the potstickers were an exceptional value. The pillowy center of ground chicken and veggies found an uncommon foil in a splash of red curry sauce and chopped peanuts. Unfortunately, the comforting combo was marred by overcooked, overthick dumpling skins. While the medium-hot som tam was a chile blitz, the khao pad grapa that I ordered "hot" wouldn't have offended your midwestern grandmother. Basically, it was Thai risotto, with egg standing in for the creamy particles of broken arborio. The soft pile of rice, flavored mostly with garlic and fish sauce, was pleasant but uninspiring. It was vastly improved when Claire Jilandharn brought over the combination of chiles at top. 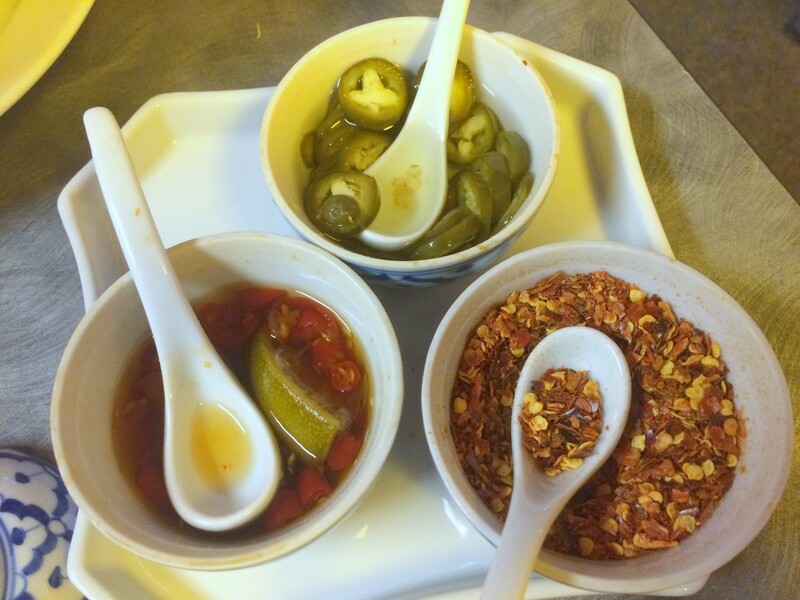 I used the one on the left, fish sauce infused with chile and lime. It woke up the grains and peppers with a smack of acid and heat. If she bottled the stuff, I would buy it. 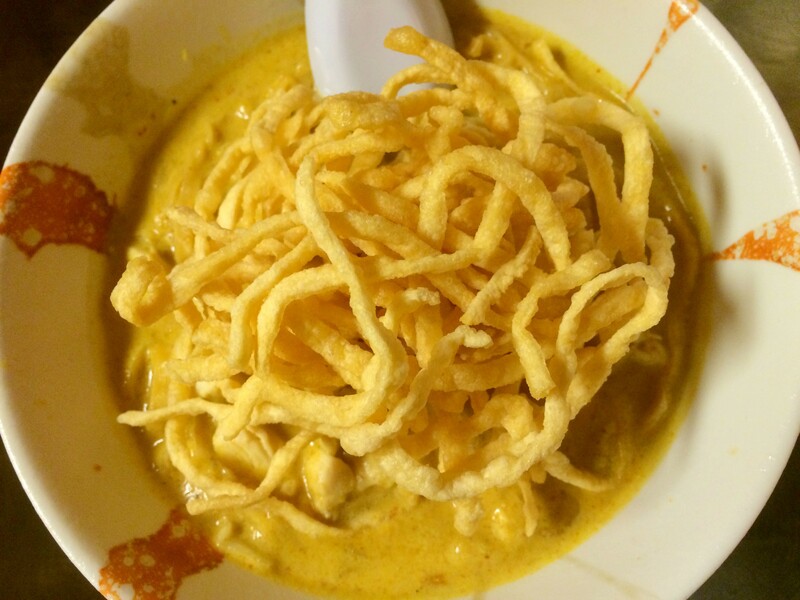 If a restaurant serves khao soi, I will order it. But I've never had one quite like Ocha's. The artistically decorated bowl came to the table overflowing with an aroma similar to that of jasmine tea. There was something vaguely floral to the dramatically yellow coconut curry, too. It could have used some more heat, but its rewards were more subtle. The mustard greens tangling with the noodles below the surface were not as pickled as they could have been, but it was still a dish worthy of a return engagement. We boxed up our large portions of rice, noodles and som tam to leave room for dessert. 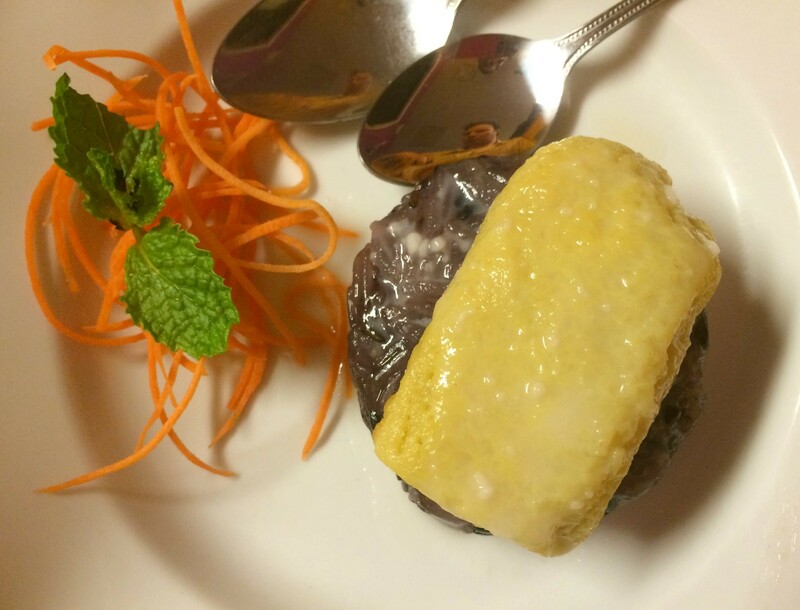 A cake of forbidden rice infused with coconut milk included a mix of hard and soft grains for textural variety. The slippery custard on top was a warm, sweet omelette that added some needed moisture to the plate. I didn't eat the carrots, but I don't blame the chefs for wanting to create a pretty plate. They succeeded. And they did it all in a tiny former pizzeria, next to a smoke shop.